We respect your privacy. By subscribing to the newsletter, occasionally you will receive brief emails regarding events, promotions, and updates from the studio. If you no longer want to receive these newsletters please click unsubscribe at the bottom of the email to be removed. 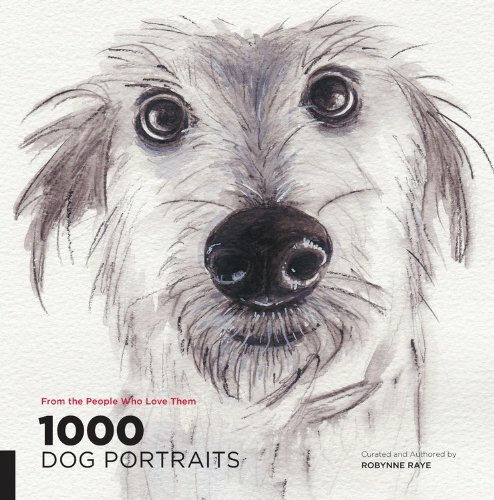 Great Book with three of my Pet Portraits! Follow Evelyn McCorristin Peters - Contemporary Art's board Contemporary Pet Portraits by Evelyn McCorristin Peters on Pinterest. Register with Art for Barks for a little peace of mind. Click on the photo to download a free wallet card with all the information needed to make sure your pet is in good hands! The World's Best Pet Contest is ON! Are you ready? Have you primped your pet and taken an awesome photograph? You have? Well great! Now you need to post it and get lots and lots of "LIKES"! Head on over to Evelyn McCPeters Art or Meylah on Facebook. Post your pet with the hashtag #MeylahBestFriend, that's it! Well except for getting everyone to like your photo! Spread the word to your friends and fans to get lots and lots of likes! The winner will be the photo with the most likes at the end of the contest, November 7. The Champion Pet will be notified and announced on November 14th! Well, the pet's skin family, it's hard to check email without thumbs! WORLD'S BEST PET CONTEST RUNS OCTOBER 28 - NOVEMBER 7. WINNER WILL BE ANNOUNCED NOVEMBER 14! THE WINNER WILL RECEIVE AN $80 GIFT CARD TO EVELYN MCCPETERS ART - PERFECT FOR A CUSTOM MINI FURRY FRIEND PORTRAIT! AN EXAMPLE OF AN AWESOME PHOTO TO ENTER INTO THE CONTEST - THIS IS OTIS! Photo courtesy of Otis's skin Mama Kerri. SUBSCRIBE TO OUR NEWSLETTER TO STAY UP TO DATE WITH THE CONTEST AND RECEIVE SOME PET PHOTO TIPS! Thank you for signing up for the Barking Dog Studio Newsletter!